A clean and intuitive design with subtle animations and a ton of sharing options makes this one of the best text editor for the iPhone! 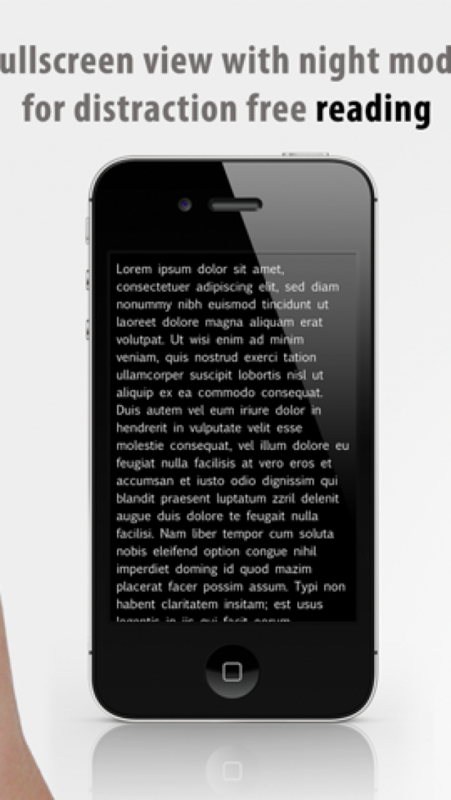 Write for iPhone makes optimal use of the limited iPhone screen with a clean and distraction free user interface which provides you the best possible writing environment for a mobile device.
? 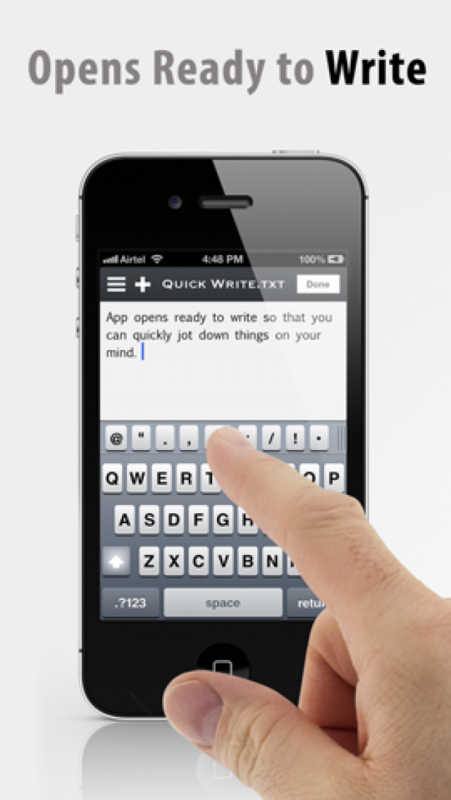 Write opens to a new blank note to quickly jot down things on your mind.
? Full background support for uploading notes to dropbox. Notes will continue uploading to Dropbox even if you close the app.
? Clean distraction free interface.
? 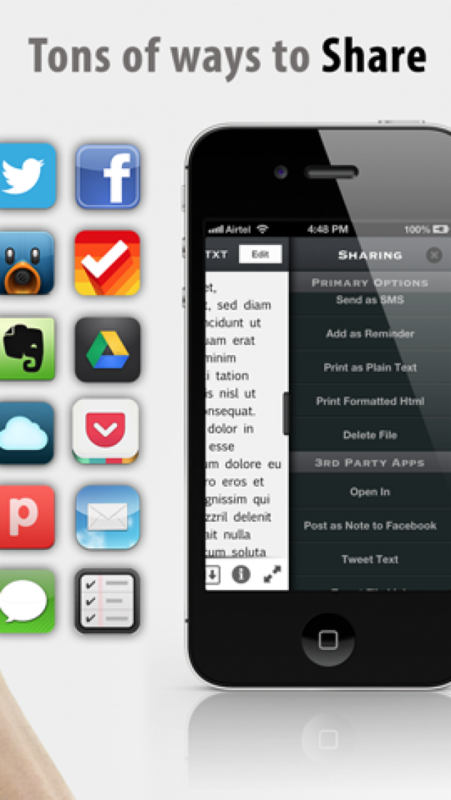 Create, edit and view text files on your iPhone and iPod Touch.
? 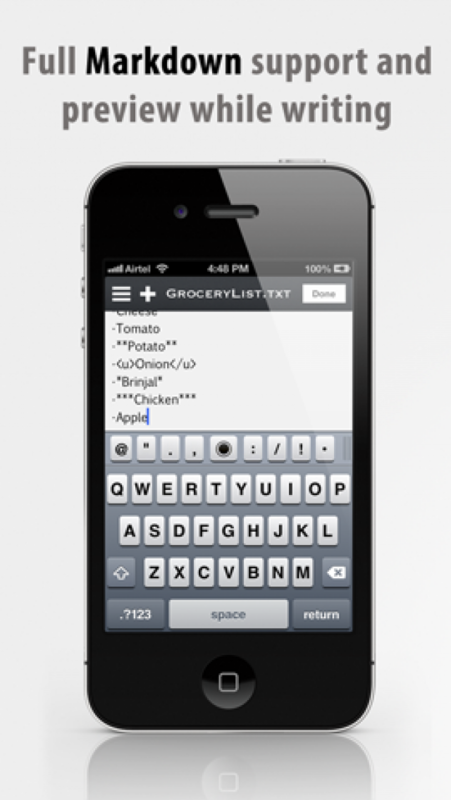 Full Markdown support with ability to preview markdown even while writing.
? A special markdown toolbar to make writing in markdown easy.
? Insert images with absolute image URLs from your Dropbox account.
? Full screen writing and reading.
? An exclusive cursor trackpad and swipe selection.
? Pull to Save and Pull to Delete.
? Favourite the files you use frequently and access them quickly.
? Quick look - A unique quick look inspired way to peek at contents of any file without opening it.
? Offline Support - Upload your changes to Dropbox next time you're connected. P.S. : The iPad version is coming soon!